Wondering what was going on in the past weeks? Trello was full of vague "improvements and optimizations". So what has improved and optimized and how? We will show you in the upcoming episode of Nomadic Journals next week. One super important part of Planet Nomads that's constantly evolving is the Sandy engine. Let's revisit terrain generation and biome distribution. In May last year we had a blog post on procedural graphics, a week later we showed you the first steps in Sandy. Big progress made in those 15 months. We briefly touched the subject in Nomadic Journals Episode 2, and you may remember the conceptual picture below. This is how biomes are distributed on our Earth based on the annual rainfall (humidity) vs temperature. While it may not look like it at first, the above pictures represent the same thing. 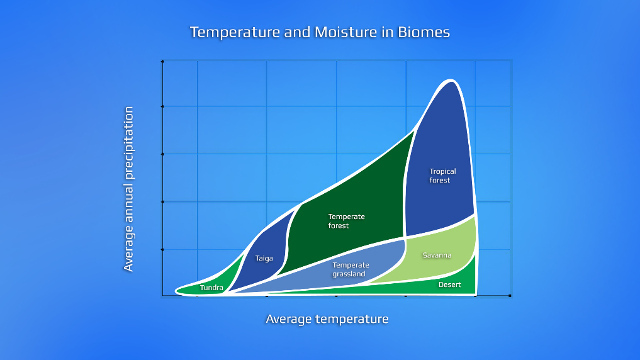 Humidity vs temperature with biomes displayed in different colors. It's the whole palette of Planet Nomads biomes. For now. Given our existing eleven base biomes, we are now working with temperature mostly. 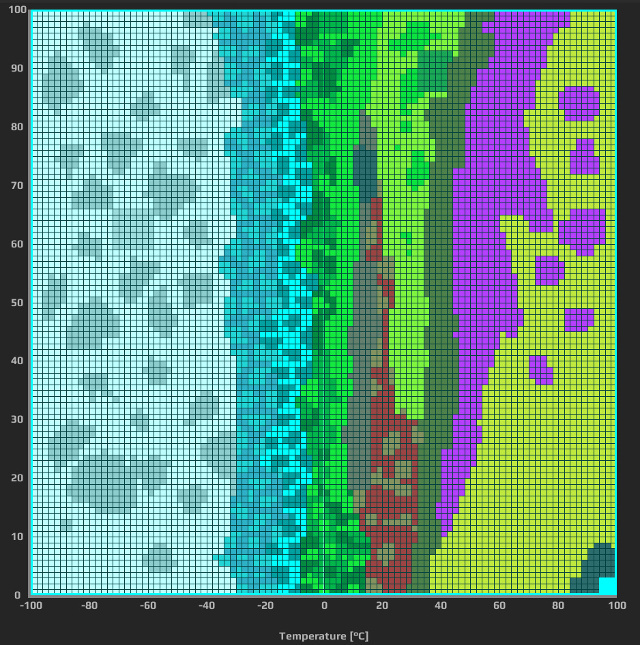 If you look closely at the layout picture, you will see biomes are changing mainly on the horizontal axis (temperature). 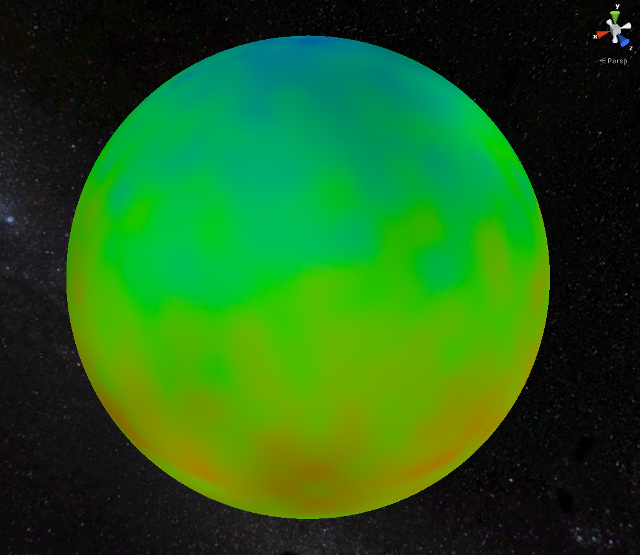 Temperature and humidity levels transposed and projected on a sphere will look like this. This is the actual closed-alpha planet you'll be exploring in two weeks. Temperatures change mostly when traveling north or south, and so will the biomes. Keep that in mind when planning your expeditions, Nomads. 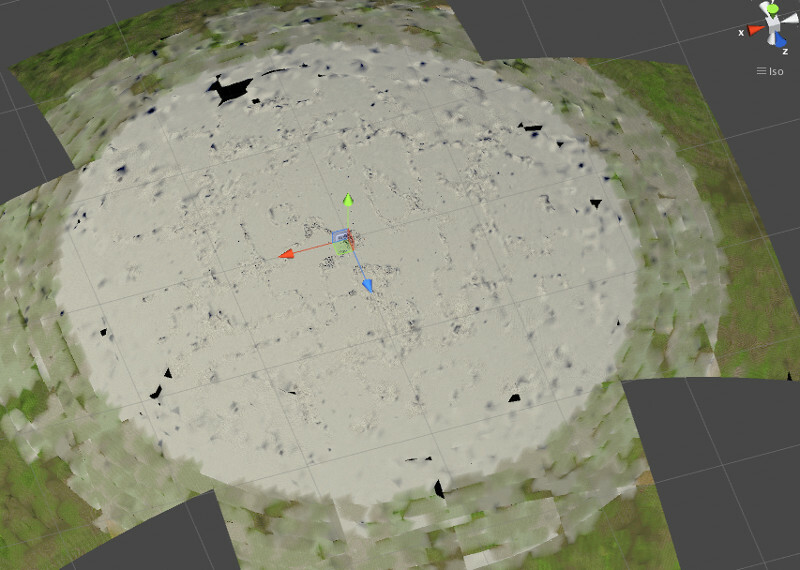 By improving and more effectively randomizing our noise algorithms for terrain generation we moved from a layered cake to something that looks more like a planet. So how does math translate into planets? There's a great article explaining that with interactive examples. With the system we have in place we can select any temperature/humidity range. So while we want you to enjoy all available biomes in alpha, when you start exploring other planets in the future, they might look like the one below. Note the blue rectangle which selects the humidity/temperature range in the layout. The Biome Layout now includes eleven biomes, but can you imagine the planets you'll be exploring when we double that number? And triple? Besides these better algorithms for biome distribution, Martin D. has also worked on material blending, which is now smoother and more natural thanks to added details. Here's how it looks on the ground. Already in closed-alpha, the name you give your planet will also serve as the planet's seed - unique identifier that affects how the planet is generated. 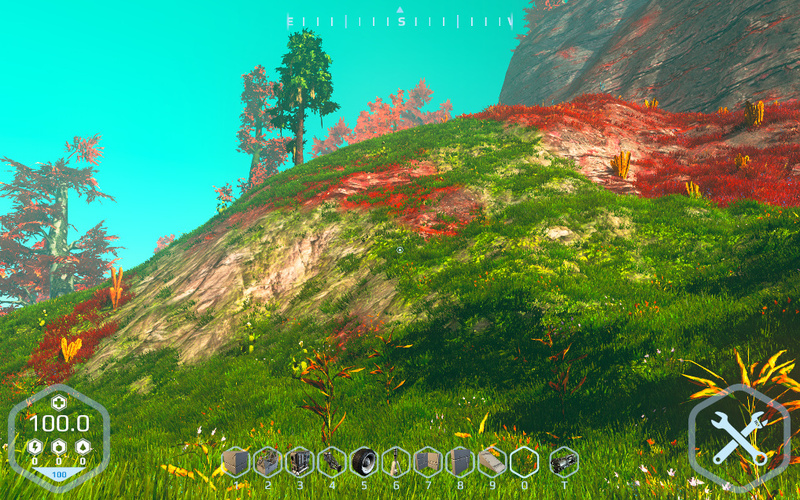 The difference is now limited to topographic details, but already in Planet Nomads Early Access we plan to give you more freedom over planet generation, so you can create your own and share the seed with others. More details in one of the future blog posts leading to Early Access. That'll be all for now, Nomads. Tune in to next week's Nomadic Journals. 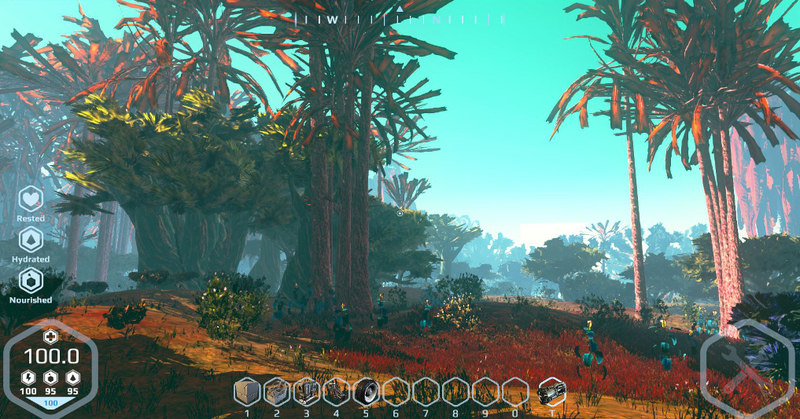 We also released system requirements of Planet Nomads in case you missed it. 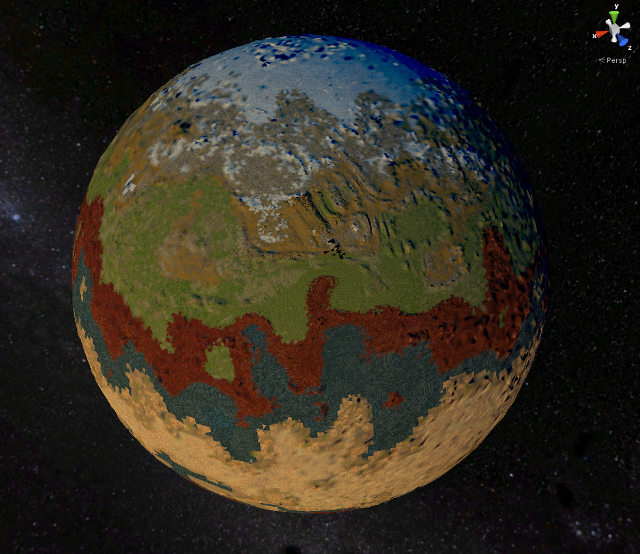 Not bad for a sandbox game that has to generate massive planets, compute physics of all kinds of constructions and offer total control over the environment.